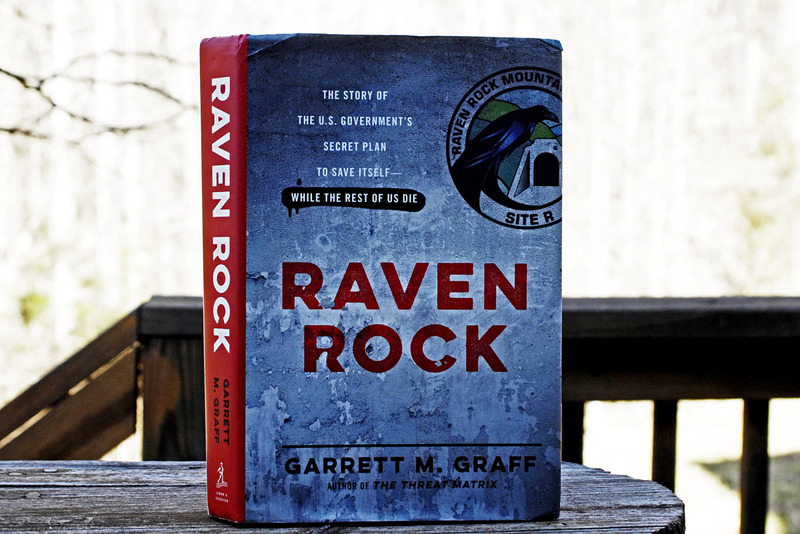 Raven Rock: The Story of the Government’s Secret Plan to Save Itself — While the Rest of Us Die, by Garrett Graff. Simon & Schuster, 2017. 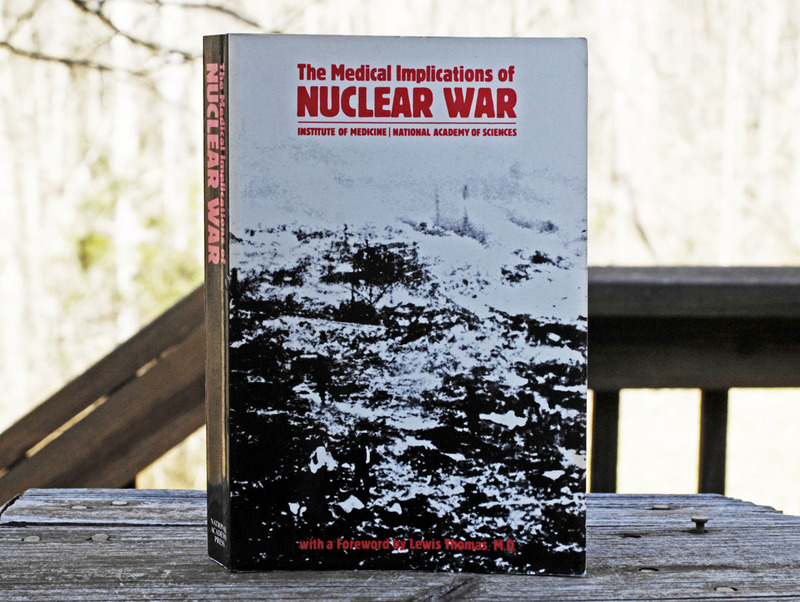 The Medical Implications of Nuclear War. National Academy of Sciences Press, 1986. Our worry lists are long. As a friend recently said in email, “…[W]e probably all have a limited capacity for despair.” This is true. But I respectfully submit that the risk of thermonuclear war ought to be (once again) on our worry lists, and on the international agenda. Many analysts are warning us that the risks of thermonuclear war are growing. Just yesterday, Politico carried a piece by Sam Nunn and Ernest J. Moniz, The U.S. and Russia Are Sleepwalking Toward Nuclear Disaster. For more detail from a higher altitude, consider this New Yorker piece from last year: The Growing Dangers of the Nuclear Arms Race. In December 2018, Russia said that it has successfully tested a new hypersonic weapons-delivery missile that flies 27 times faster than the speed of sound. Such a missile would render current defenses useless. The United States is working on hypersonic missiles, but Russia seems to be in the lead on this. Two days ago, the Trump administration announced that the U.S. is withdrawing from a 1987 treaty on nuclear forces. Yesterday, Russia’s President Putin said that Russia also is withdrawing from the treaty. Today, the story about the treaty is still on the opening page of the Washington Post’s web site, but Trump’s wall is played much higher on the page. This is a media failure as well as a potentially catastrophic failure of leadership. We are arguing about absurd political distractions such as Trump’s wall while ignoring actual existential threats such as thermonuclear war and climate disaster. Sheer craziness is on the rise in worldwide leadership. Both Trump and Putin are anti-NATO. New nuclear weapons are coming on line, and other new weapons and delivery systems are not far off. The idea that “tactical” nuclear weapons can be deployed in limited ways is gaining advocates if not credibility. International tensions are high. Many things could go wrong. Raven Rock is a well done history of the Cold War. It’s a miracle that we have survived this many decades without nuclear weapons being accidentally deployed. There have been many close calls. For example, in 1979, NORAD’s computers reported that hundreds of missiles — a full-scale nuclear attack — were headed this way from Russia, aimed at a full list of American targets including military targets and cities. Underground American command-and-control facilities closed their blast doors and tried to figure out what to do, with only minutes to respond. Bombers and interceptors were scrambled. Missile silos were ordered to prepare to fire. The Strategic Air Command’s ranking officer on that shift, Colonel Billy Batson, saved civilization by doubting that the attack was real. He ordered telephone contact with the watch officer in Fort Richie, Maryland, which radar said would be one of the first places hit. They counted down the seconds until destruction. But nothing happened. SAC stood down and went to work to figure out what had happened. What had happened was that someone had put a training tape into the actual early warning system. This event helped inspire the 1983 film “WarGames” starring Matthew Broderick. There have been many other close calls. Whatever the risks of accidental nuclear war, the risk of intentional use of nuclear weapons is increasing. Last year, the United States actually lowered the threshold for use of nuclear weapons. The use of “tactical” nuclear weapons is increasingly tempting, because of the idea that the use of nuclear weapons can be limited, without leading to all-out mutually assured destruction. In the early decades of the Cold War, there was an effort to help the civilian population survive thermonuclear war. It was a given that millions would die, but the idea was that recovery would be quicker if enough of the population survived to restore industry, etc. Most of the effort, however, went into “continuity of government.” The government has spent untold billions of dollars on keeping enough members of the government alive to support ongoing constitutional government. Who would argue that this is not necessary? Of course it is necessary. But, since the 1980s and 1990s, we ordinary people have been on our own. We can’t even expect a warning anymore, let alone protection. Resources simply don’t exist to support the population after widespread catastrophe. The American “continuity of government” system was brutally tested during 9/11. Raven Rock has an excellent chapter on 9/11. For hours, the administration and the military hardly knew what was going on. They were watching television like the rest of us. We failed that test. If improvements in “continuity of government” have been made with the billions of dollars that have been spent since then, there is one thing we can still be sure of: We ordinary people will still be on our own. What should we do? I have no idea. But awareness is surely a start. And pulling a delusional administration back toward reality is the first thing on the list. I apologize for this disturbing distraction. Now let’s all go turn on our televisions and catch up on the engaging media drama of what’s new with Trump’s wall. Can Elizabeth Warren and Adam Smith, Defying Trump, Persuade Americans to Get Serious About Nuclear-Arms Control? This was written by daltoni. Posted on Saturday, February 2, 2019, at 1:08 pm. Filed under Political issues. Bookmark the permalink. Follow comments here with the RSS feed. Trackbacks are closed, but you can post a comment. I finished watching “24 Hours After Hiroshima”originally broadcast on the National Geographic channel 8/17/10, just before reading this blog post. Quite ironic, huh? That bomb pales in comparison to what missiles are capable of today – almost 75 years later. We ignore history at our peril.